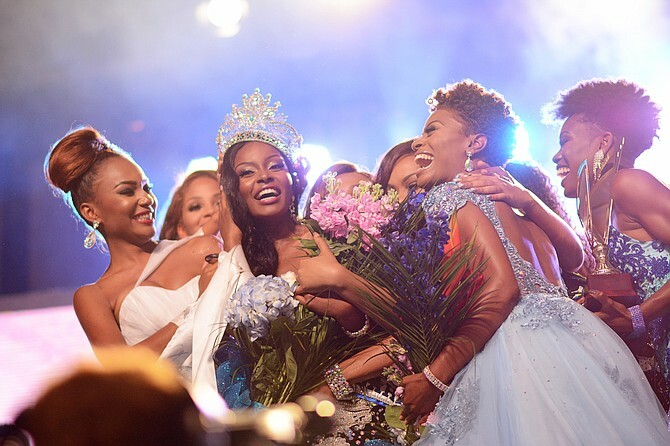 22-year-old Brinique Gibson from New Providence was crowned Miss World Bahamas 2018 on May 27, 2018 at the Imperial Ballroom-Atlantis. Gibson, an entrepreneur, and model bested 9 other beauties and will now represent the Bahamas at the Miss World 2018 competition this December in China. She succeeded last year's winner Geena Thompson.